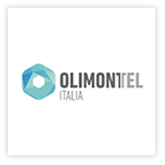 OlimonTel is an Italian Telecommunications company which specializes in VoIP and Cloud services, targeting SME and professional customers. Its widespread infrastructure is based on 4 Italian data centers and a network of over 15 data centers worldwide. In tune with the specific needs of the Italian market, OlimonTel has selected and built a set of communication services, thanks to which its customers can improve the way they work and collaborate, reducing the complexity, cost and management needs. TreNove is an Italian Telco based in Reggio Emilia and founded in 2008 operating throughout the whole country. TreNove provides a full range of innovative solutions customized for business. The strong point of TreNove is the ability to design strategies aimed to solve problems of its customers, bringing innovation and improvement. Together with strategic partnerships TreNove is now building a fiber optic network to connect the locations of its customers wherever they are and to ensure a super fast Internet access. VoipVoice is the first Italian VoIP Provider completely Business-Oriented. Started in 2006, when some of Italian reality with long-time experience in IT service field, software and VoIP telecommunications, blend together with the specific purpose to provide professional VOIP’s services to companies. VoipVoice has accomplished through those years important improvements and developments, thanks to the dynamic team and a remarkable commercial politic that serve the market only by seller (such as System Integrators) and supply the services merely to the companies.VoipVoice boasts today around 6.000 customers, more than 550 sellers all over Italy, certifications with the most prestigious vendors of IP-PBX and VoIP’s Hardware, collaborations with the main Hardware and Software distributors. The technological presence of VoipVoice, which covers all the Italian regions, is due also to the direct presence on the ground of the partner’s network.